Coconut oil, the edible oil that is extracted from the kernel of mature coconut, has become the part and parcel of our life. It is used in food as well as cosmetics. Coconut oil is often called as ‘miracle oil’ because of its wide range of application. Pure coconut oil is coming either Pale Brownish color or colorless and they are used in food, pharmaceuticals, nutraceuticals, cosmetics and for industrial uses. Coconut oil is enriched with vitamins, minerals and carbohydrates and other essential nutrition for the human body. It is widely used to make cosmetic soaps, creams and even prepare foods and salads. It is said good to improve good cholesterol, treat for digestive disorders and promote weight management. It is widely used for hair growth, dandruff treatment and healthy skin. Coconut oil; life saver for high cholesterol patients. Coconut oil has the lowest cholesterol amounts compared to palm kernel oil, sunflower oil, palm oil, soy oil, cottonseed oil and corn oil. The saturated fat contained in the Coconut oil increases the level of good cholesterol and lower the level of bad cholesterol and also cure fatigue and energy malnutrition. Though coconut oil is known as triglyceride has the highest content of glycerol and contains small proportions of mono and diglycerides. Glycerol is a carbohydrate with the chemical composition similar to that of sugar. This implies that with coconut oil as a dietary fat, the actual intake of fatty substances is much less than with the same quantity of any other oil. Daly consumption of pure coconut oil in a very limited quantity (say an ounce) will help you to improve the LDL/HDL ratio. Coconut oil makes your skin young. 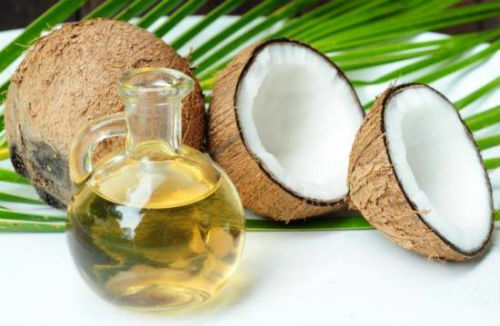 In the field of cosmetics also coconut oil is a miracle oil that can do wonders to our skin. 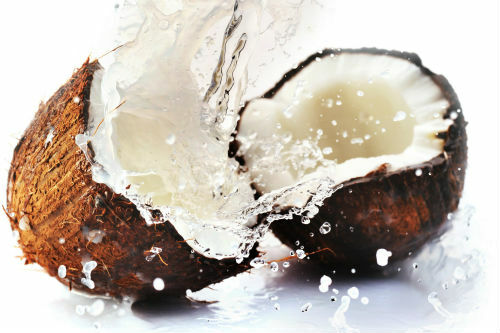 The saturated fats in coconut oil can protect your skin and the rich content of protein makes it healthy and afresh. The presence of the saturated fats in coconut oil helps to retain moisture content of skin, since these fats will help to eliminate the moisture loss through the pores in skin and your skin feel smooth always. Apply a bit of Oil all over the body immediately after shower to keep moisture. Coconut oil can repair your skin wrinkles & cracks. Coconut oil will repair your skin effectively. It repairs the wear and tear on skin and rejuvenate cracked skin. It prevents premature aging and wrinkles on skin with its antioxidant properties. It also nourishes our skin and help to make younger looking skin. Apply daily all over your body at least twenty minutes before bath to get rid of fatigue. Try to reduce the use of bath soap after apply the oil for best results. The oil can tighten your skin, remove wrinkles, remove stretch marks and dark spots on skin. It can repair cracks on your skin and can be applied to lips to remove dark spots and cracks on lips. Coconut oil is good to apply on nails to cure cracked nail and also effective to cure cracked heel skin. Coconut oil protect you from infections & cavities. Capric, Caprylic and Lauric acids are the main fatty acids in coconut oil, which have strong disinfectant and antimicrobial properties. Thus, if we apply coconut oil to our skin, it will protect our skin from microbial infections that can get into open wounds or even enter the body through pores of the skin. Coconut oil can fight against gum disease and cavities. It is a good habit to swish a small quantity of coconut oil around in your mouth in morning to prevent gum disease and cavities. Coconut oil can apply on your scalp for cooling effect. It contains a rich amount of vitamin E, which is essential to make our hair silky and moisture content in the oil keep your hair smooth. Coconut oil with herbs such as Sage are well-known to prevent hair loss. The anti-acids in coconut oil is a good anti-dandruff agent. It is a good protein supplement for your hair that cure damaged hair. Apply slightly warm oil on your hair and massage on your scalp before you take batch to accelerate hair growth. Coconut oil is used in special food preparations for those who suffer from digestive disorders. Coconut oil is best to cure digestive problems if they are taken regularly in proper quantity. It can be used against intestinal round worms and tape worms. Coconut oil help you to control body weight. Coconut oil is a good source of energy. The saturated fats (Capric, Caprylic, Lauric acids) in coconut oil can do wonders. They will increase the metabolism in our body and helps in weight loss. The fatty acids in the Coconut oil will also boost our energy levels before a workout. Thus it is said that coconut oil is also best to reduce weight or management of weight. This weight loss will in turn improve the quality of our skin by flushing out the excessive fat, removes stretch marks on skin and also removes folds in skin which can be unattractive. Coconut oil is the healthiest dietary oil in earth. It is known for its nutrition, health and medicines to cure diseases.it is a gift of nature, the miracle oil that makes you fit, healthy and beautiful.